Improving your credit score is one of the most common goals that people have relating to their financial life. A good credit score can help you to qualify for a mortgage, get better terms on a loan, etc. If you want to be able to plan out a successful financial future, a good credit score is usually a part of that equation. 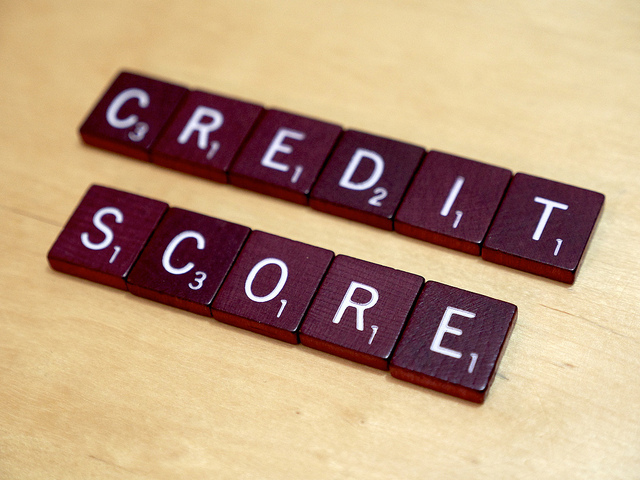 So what if you don’t have a good score currently and want to improve your credit score? Have no fear as hope is not lost. There are some fairly simple steps you can take to improve your score over time. It generally will not happen overnight, but you can start to take steps to improve your credit score today. As the months go by and you make your payments on time, every time your score is likely to start going up as a result. That said, if spending is going to be a temptation for you then it’s best to take this cautiously as no debt is worth it. Using too high of a percentage of your credit limits can hurt your credit score, so try not to use any more than 30% of your available credit. By keeping a low balance, or better yet no balance at all, you will be doing your score a favor, and also saving money in terms of interest charges that you are avoiding. If you do make a big purchase that eats up a lot of your credit limit, do yourself a favor and try and plan out the purchase as doing so will allow you to pay off the purchase when the bill comes due. You can request a copy of your credit report and review it for accuracy once every 12 months. As there are three major reporting agencies you can check your credit report once every four months. You might be surprised at how often errors are made, and those errors can cost you valuable points if left unchecked. Instead of just letting it slide, report the errors and see if you can have them removed from your report. Even just correcting one or two mistakes can make a big difference when your score is calculated. Personally speaking, I have had to go through this numerous times as I am named after my Dad and several of his accounts have shown up on my credit report in the past. Thus, I get the joy of going through the fun process of requesting to have the accounts removed. That, along with several other reasons, is why I like to monitor my credit report and activity through Credit Karma. Credit Sesame is another good option as well if you’re looking for that service. There are also a number of credit cards, such as the Discover it® card, that allow you access to your credit score each month for free. As the credit card industry tends to follow the leader, it’s likely this will become more widespread in the future. You might think it is a good idea to close down old accounts when you are not using the credit card anymore, but that actually isn’t a great idea in terms of your score. Instead, keep them open and use them once every few months to keep them active. Make sure to pay off the balance each month, of course. Using credit accounts that are older will have a positive effect on your score, as long as you do so responsibly. In reality, improving your credit score has a lot to do with common sense. If you are able to pay your credit card bills on time each month, and keep your balances low, you should be able to improve your score over time. What other ways can you think of to improve your credit score? How often do you check your credit report? Have you ever had to get anything removed due to an error? It is funny how one of the best ways to improve credit is to get more and use it more. I recently had this conversation with a client who has a bunch of money but rarely uses credit cards and that has led to a lower credit score than she would like, especially since she is looking to buy a home. So now she has to do something she “hates” to help her numbers. I know, it’s just crazy how it works out that way. We have a good friend who does very well financially but they have used very little credit and their score reflects it. She’s doing great, but would get terrible rates. It’s sort of nonsensical. You have to think like a lender to understand this apparent contradiction. On many transactions only the score is used to make a decision. If someone has a short history with a thin file, the banks have little information to work with. If your friend was applying for a mortgage and could afford a larger down payment, the impact on rates could be quite different. Totally agreed Kevin. I understand that many decisions it’s solely the score that is used to make the final decision. It just seems a bit off, though I know why it’s handled that way, in cases where the person is just fine financially but has little to no credit history. I think some assume that they can walk in and get a loan, card, etc. with no history and not realize it’s something that needs to be built up.